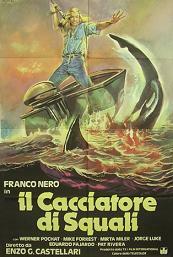 Today’s feature is a little-known Franco Nero movie from 1979: The Shark Hunter. 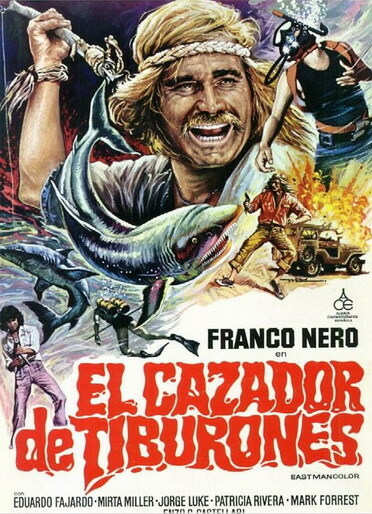 The Shark Hunter was written by a team that included Alfredo Gianetti (The Blue Eyed Bandit, Divorce Italian Style), co-producer Jaime Comas Gil (A Fistful of Dollars, Cabo Blanco), Tito Carpi (Escape from the Bronx), Jesus Folgar (Watch Out, We’re Mad) and Gisella Longo (Adam and Eve). The director of The Shark Hunter, Enzo Castellari, was also behind a number of other low-budget Italian productions like The Last Shark, 1990: The Bronx Warriors, Keoma, and The Inglorious Bastards. The editor for the film was Gianfranco Amicucci, who also cut Keoma, 1990: The Bronx Warriors, and The Inglorious Barstards for Castellari. 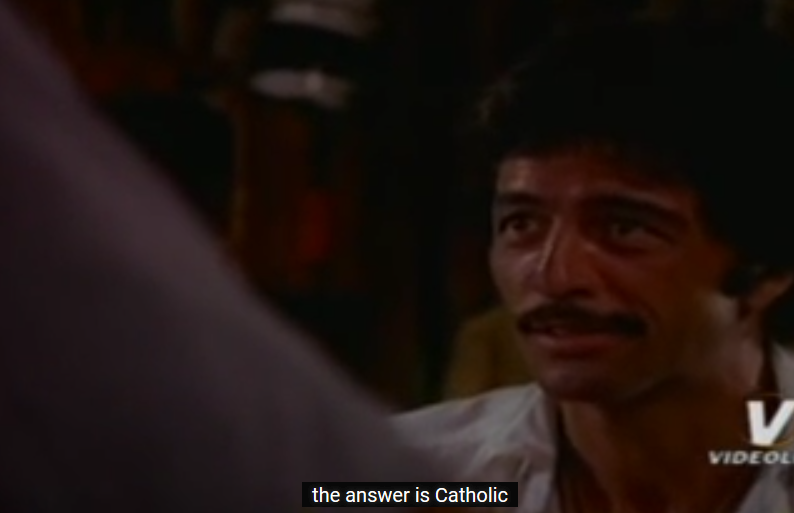 The cinematographer on The Shark Hunter was Raul Perez Cubero, who accrued nearly 100 cinematography and director of photography film credits over his career. The special effects in The Shark Hunter are credited to Alvaro Passeri, which is, according to IMDb, a pseudonym for producer and director Massimiliano Cerchi, who went on to create such films as Satan Claus and Hellbilly. The music for The Shark Hunter was composed by Guido and Maurizio De Angelis, who contributed scores to a number of other low-budget features like The Last Shark, Keoma, and Alien 2: On Earth. The cast of The Shark Hunter includes Franco Nero (Django, Massacre Time, Die Hard II, Omega Code 2), Werner Pochath (Flatfoot in Africa), Jorge Luke (Clear and Present Danger), and Michael Forest (Body of Evidence, Macross Plus, Big O, Mobile Suit Gundam F91). The reception to The Shark Hunter online is mixed: it currently has a 5.0 rating on IMDb and a 67% audience score on Rotten Tomatoes. However, it is certainly not well known, and both of those numbers come off of very small sample sizes. I usually don’t cover movies that I can’t understand. However, I decided to give this a shot at this one with translated YouTube subtitles. The results were less than stellar. In spite of the language barrier, I was still able to piece together the gist of the story. 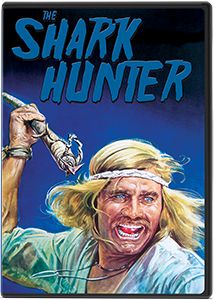 Franco Nero stars as a mysterious professional shark hunter with a hidden criminal past, who has taken up on a remote island after the death of his wife. He becomes engulfed in a wild treasure hunt when word starts to spread about a downed aircraft just off shore with a massive load of cash. All of the forces need his input because of his expertise as a shark hunter (the waters around the wreck are infested with sharks), and for his criminal prowess. 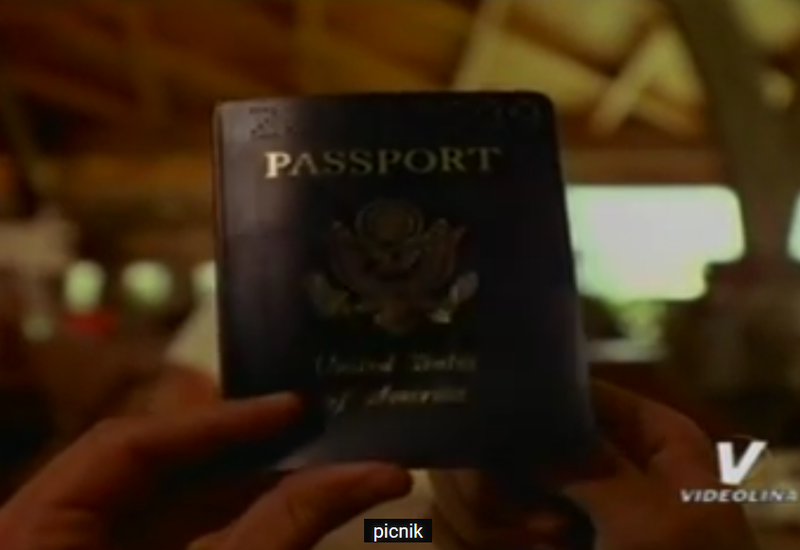 This places him in the middle of a dangerous web of violent and greedy individuals that start to appear on the island. The Shark Hunter takes a while to get going, but the last third of the movie is pretty much non-stop. Once all of the invested parties are established and the treasure heist is planned, everything heats up pretty well: there’s a pretty decent boat/plane chase, a bunch of alarmingly realistic shark wrestling. 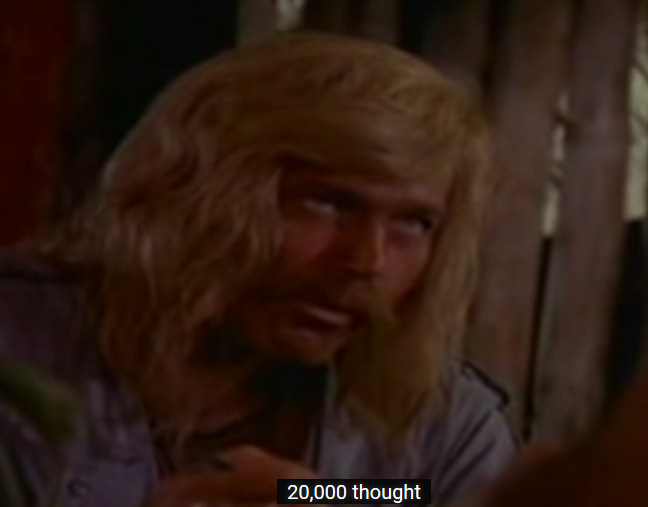 and Franco Nero wearing what I assume is the most ridiculous wigs ever to grace a film. As badass as Nero is throughout the film, that wig of blonde, flowing locks still looks absolutely ludicrous, and steals the show most of the time. 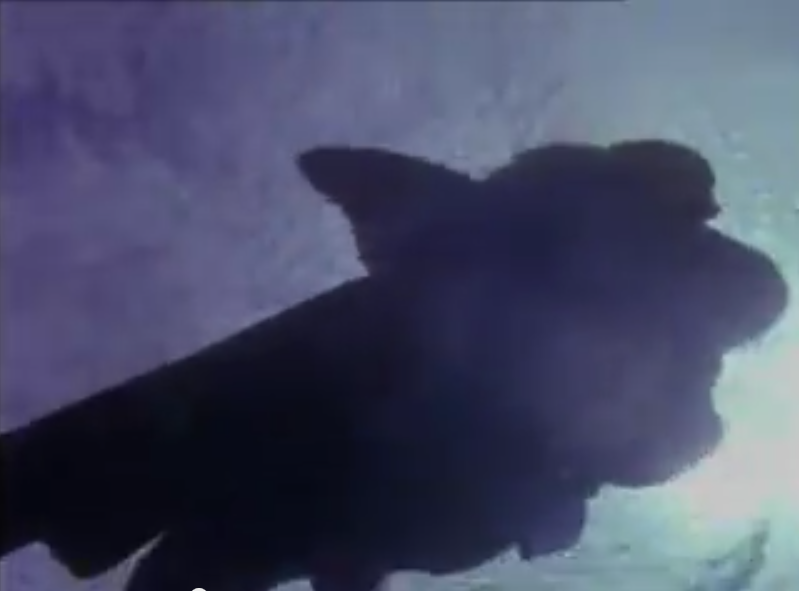 As I mentioned previously, there are a number of sequences in this movie where Franco Nero’s stunt double (I assume) actually wrestles a goddamn shark in the water. I was worried that the movie was about to turn into an unintentional remake of Lucio Fulci’s Zombie, and I’m actually curious as to how they pulled all of the shark wrestling off. Some years earlier, Samuel Fuller had similar stunts in his film Shark! 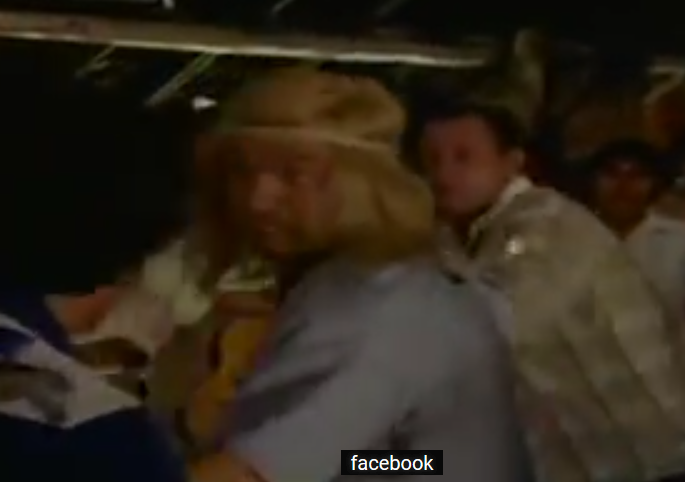 that utilized live, sedated sharks, which tragically resulted in the death of one of the film’s stuntmen. I’d like to think that they didn’t do the same thing here. I kind of like the plot to this movie (at least the bits that I could understand), and appreciated the way that the crime and heist aspects played into the adventure setting. 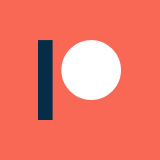 It made for an interesting sort of genre-bender that took notes from all across the board, synthesizing into something that felt unique. Overall, this isn’t a particularly awful film, but it certainly isn’t high quality, and suffers from an obviously shoe-string budget. The beginning is far too slow, but the conclusion pretty much makes up for the weaknesses of the first act. The shark wrestling is kind of nerve-wracking because you have to assume that the stunt people were actually in significant danger, which adds an extra element to the movie (for better or worse). I would love to find a legitimately subtitled or dubbed copy of The Shark Hunter, because it was kind of a struggle to get through with the nonsense translations, but it was still compelling enough to get me through it.